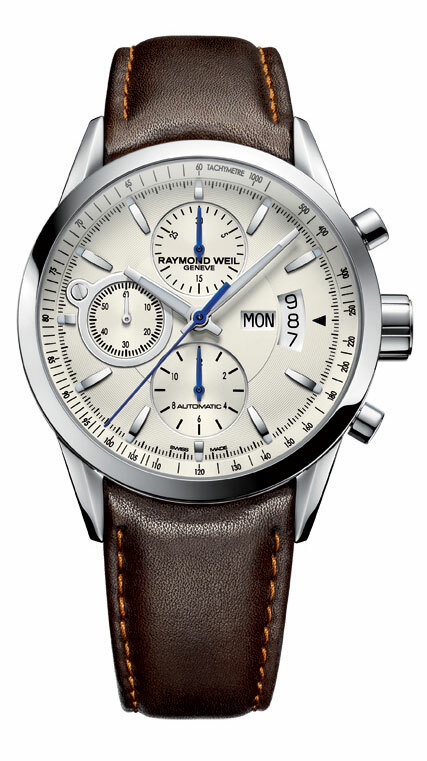 Freelancer, a successful collection of the Raymond Weil independent family’s Swiss Brand, continues to evolve, always remaining true to the brand’s classical watch making tradition, with up-to-date lines, dials in timeless shades and increasing refinement. With three hands and a date window, a visible balance wheel or a chronograph, the collection is being offered in three case sizes, 29mm, 38mm and 42mm. The ladies models, occasionally adorn their bezel or indexes with diamonds, dancing gracefully to time’s music. This year, the brand offers the collection’s amateurs a new chronograph model, still in a 42mm size, with an opalescent dial and faultlessly elegant blue hands. The watch’s dark brown leather strap contrasts perfectly with the iridescent dial and the polished and satin finishes of its steel case. This new model with its intentional, calming simplicity, has is irresistibly attractive. Price Rs 1,43,870.